Morning sickness in pregnancy is debilitating, but we have some morning sickness tips from Dr Marilyn Glenville, leading nutritionist and author, and Russell Bowman ND BSc (Hons) Dip N.N is a nutritionist at The Nutri Centre. Apple Cider Vinegar – ‘Apple cider vinegar is pH neutral, so it can help settle the stomach acid which causes nausea. Add 2 tsp of apple cider vinegar to a cup of warm water first thing in the morning to help keep nausea at bay’ advises Marilyn. Try Higher Nature’s Organic Apple Cider Vinegar, £6.50 from Nutri Centre. Almonds – ‘Almonds are a great source of protein and calcium, both of which can settle your stomach.’ Take Marilyn’s sickness-busting tip and soak 10 almonds (unroasted) over-night, peel off the skins in the morning before eating. Try BioCare’s Vitamin B6, a water soluble B vitamin which is yeast free and suitable for vegans. 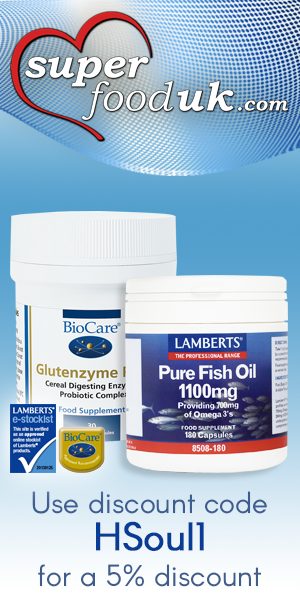 Biocare’s Vitamin B6 is £8.80 for 2 months’ supply and is available from Nutri Centre. BioCare’s Gingerdophilus (Ginger and Probiotic Combination), £20.40 for a months supply from Nutri Centre. This product combines powdered ginger with the benefit of probiotics, which can assist in digestive complaints as well as the nausea associated with morning sickness. 3 capsules provides 900mg of ginger which can be effective for short term use (4-5 days at a time). Lemon therapy – ‘Lemon juice can help to relieve nausea, even by just inhaling its fragrance. Cut a lemon in half and rub the juice on your hands, then hold your hands to your face and take a deep breath whenever you feel nauseous.’ advises Marilyn. Arsenicum – is best if you have a sense of constant nausea, some vomiting and if you feel exhausted or faint. Try Weleda Arsen alb, 30c x 125, £6.95. Ipecac – for morning sickness that isn’t relieved by either vomiting or stress. Try: Weleda Ipecac 6c x 125, £6.45 from Nutri Centre. Sepia – if you feel constantly nauseous, but a little better if you eat little and often. Try Nelson’s Sepia, 30c x 84, £5.45 from the Nutri Centre. Acupressure – One study showed a 60 per cent improvement in morning sickness in women who used acupressure. The acupressure point for nausea is at the base of your wrist, about 5cm from the crease of your wrist on the inside of your arm. Press on this point for several seconds each time you feel nausea coming on. Alternatively you can buy acupressure bands to do this job for you. Aromatherapy – Try putting a few drops each of rosewood and lavender essential oils onto a tissue or handkerchief and inhale during the day. Try Health Aid Rosewood Oil, 10ml, £6.99 and Aqua Oleum Lavender essential oil, 10ml, £4.26 from the Nutri Centre. • Become a protein grazer – Eat small, frequent meals and snacks throughout the day so your stomach is neither too empty nor too full. Research suggests that high-protein foods are more likely to ease symptoms. • Snack attack – Keep simple snacks such as ginger biscuits or crackers by your bed. When you first wake up, eat a small amount and then rest for a while longer before getting up. Snacking may also help you feel better if you wake up feeling nauseous in the middle of the night. • Take it slowly – Getting up slowly in the morning by sitting on the bed for a few minutes, rather than jumping right up, may also be helpful. • Smell the roses, or not – Try to avoid foods and smells that trigger your nausea. Due to your heightened sense of smell, you may find that certain foods that you enjoyed before you fell pregnant may make you feel queasy now. If so, you could try sticking to more bland smelling or tasting foods for the short term. Dr Marilyn Glenville PhD is the UK’s leading nutritionist specialising in women’s health. She is the author of 10 internationally bestselling books, including the recently re-launched Getting Pregnant Faster and The Natural Health Bible for Women. Marilyn practices in her clinics in Tunbridge Wells (Kent), St John’s Wood (London), Kensington (London) and Rathmines (Dublin). For more information on specific health problems see Dr Glenville’s website www.marilynglenville.com. Russell Bowman ND BSc (Hons) Dip N.N is a nutritionist at The Nutri Centre. The Nutri Centre is one of the world’s largest suppliers of natural health products, including supplements, herbs, specialist books, health food and beauty. Stores are nationwide and online at www.nutricentre.com.